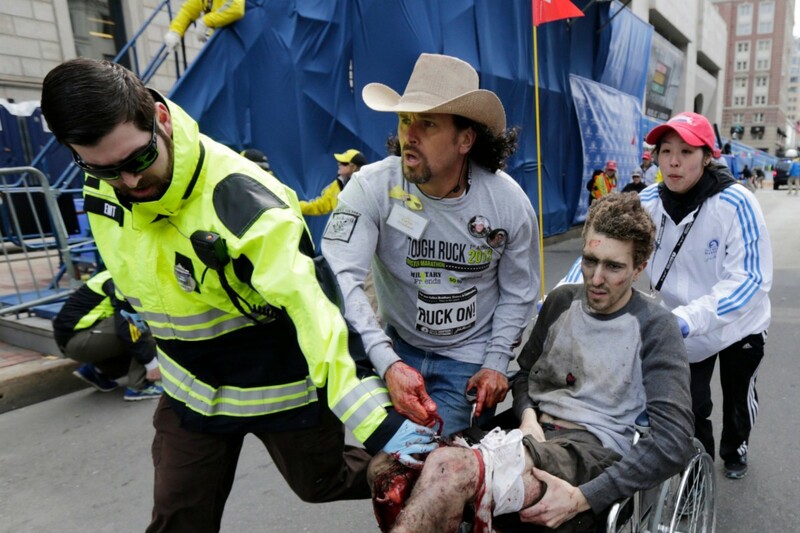 In the chaotic aftermath of the 2013 Boston Marathon bombing, a photo of Carlos Arredondo rushing alongside first responders to help a man injured by the blast emerged as a much needed symbol of clarity and unity. Though images of the destruction and violence dominated the early news, his was one of many stories of everyday heroism that began to emerge. Sporting an unmistakable cowboy hat, Carlos became the face of resilience to a shocked and saddened city. As it happened, Arredondo was in attendance near the finish line to cheer on runners representing his two sons — Alex, a Marine who died in Najaf, Iraq in 2004, and Brian, who had suffered from depression and drug addiction since his brother’s death before taking his own life in 2011. Carlos first gained national attention when he set ablaze the van of the Marines who informed him of Alex’s death, burning 26% of his own body in the process. After recovering, Carlos created Camp Alex, a mobile memorial to his son and reminder of the human cost of war. 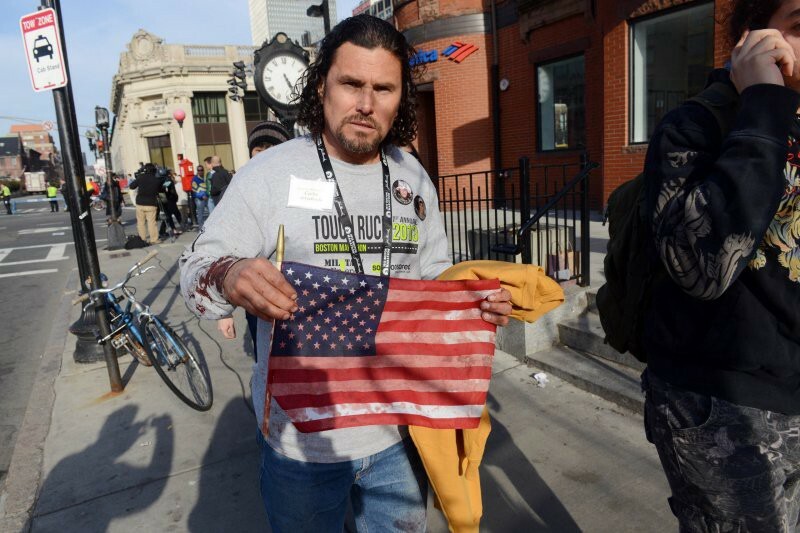 A dedicated activist and a visible presence during Occupy Boston, Carlos’s heroism at the Boston Marathon is the latest event in what is already a fascinating life. Boston-based documentarian Janice Rogovin has been interviewing Carlos since 2005, a project that began out of curiosity but continually evolved as more chapters in the Arredondo family unfolded. The resulting film, titled The Man in the Cowboy Hat, premieres 2pm on Saturday, 3.25 at the Boston Public Library. Following the screening will be a panel discussion moderated by film journalist Erin Trahan with Rogovin and producer-editor Laura McLam, Professor of History Chris Appy, as well as Carlos Arredondo himself. 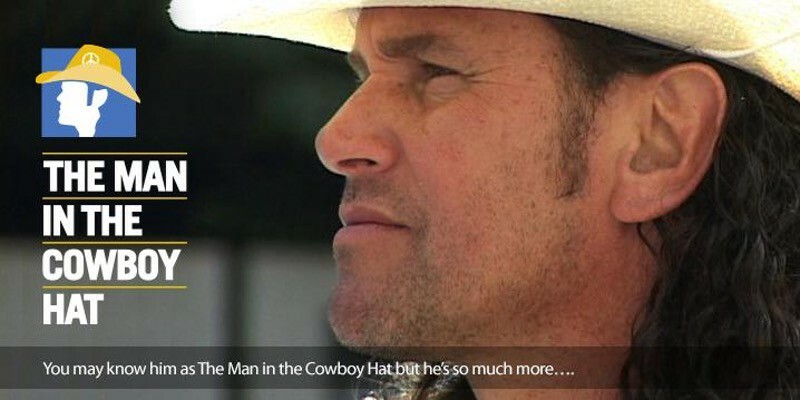 Boston Reel sat down with Rogovin and McLam to discuss The Man in the Cowboy Hat. What inspired the initial idea to document Carlos, and how did that change over time? Janice Rogovin: I’ll start with the original idea. I heard on the radio an announcement about the burning incident in Florida, when he learned that Alex had died. I noticed the announcement because I have been very tuned into issues around war for a long time, and I was following the war in Iraq. When I heard the announcement, the person said on the radio, “We don’t know if it was a protest or he was trying to commit suicide.” It sounded like they were trying to figure out why he did what he did. You don’t have to stretch far to have that reaction that his son died, because at that point in 2004 the war was already questionable in more and more people’s eyes. So I was very interested in what he did and why he did it, what he was thinking. I wanted to find him, and it turned out that even thought this happened in Florida, he came from Boston, originally. He was living at Jamaica Plain for a long time, and that’s where I lived. I ran into a very close friend of his from Costa Rica in the bike shop in Jamaica Plain, by chance … So I ended up going to Carlos’s house on the first anniversary of [Alex’s] death. And that’s the first time I met him. Then the next day I interviewed him and I was moved by his story. Laura McLam: It took a long time to figure out what story we actually wanted to tell and how to weave everything together, and go through the years of footage that had been shot. In the end, we decided the film was about Carlos’s personal journey and all of these amazing and devastating things that had happened to him, how resilient he is, rather than just the story about the Iraq War and activism, which is how it started out originally. Have Carlos’s activism and political views shaped the film or reactions to it? LR: He does cross over political lines in a way that normal activists don’t. There are people who come from a very different point of view, that they’ll very much respect him because of some of these other things that he does, for things that he says that are atypical for someone of his political persuasion. How has this film differed from other projects you’ve worked on in the past? JR: One main way it was different was I started out with an idea, and the idea changed dramatically throughout my whole film. As Laura said, we had to refocus on what we were doing and think about how the story was changing. I never had been following a story and have it change so much in the process. LM: We actually had the film in a rough cut, the final cut stage, asking for the final feedback, and just getting ready to be finishing services — and then something else happens that we had to reevaluate and recut the film. Which is pretty unusual, to do that more than once. When you have to completely refocus a project, is it a greater strain technically or conceptually? LM: The first step was figuring out, “Okay, well, now what do we want the story to say? What thread do we want to pull out?” One of the issues of shooting so long is that we had so many scenes and the sub-scenes we could include. Part of the process was figuring what we could get rid of, because if we included everything it would be seven hours, or have way too much in it for people to follow. Then once we made some of those decisions, working technically, how do we get this story across? Because there are some things we ended up wanting to include that weren’t part of the original idea. After having worked on the film for so long — even nearing completion more than once — what was your reaction to seeing the picture of Carlos at the marathon? The Man in the Cowboy Hat premieres 2pm on Saturday, 3.25 at the Boston Public Library. The event is sponsored by Mass Humanities, with additional support from The Center for Independent Documentary and The William Joiner Institute for the Study of War and Social Consequences. For more information, visit the film’s Facebook page or official website.